Adherence to data security policies and mandates for compliance or governance is the most important objective for executives in companies running SAP. But many reveal that their data security policies are lacking. 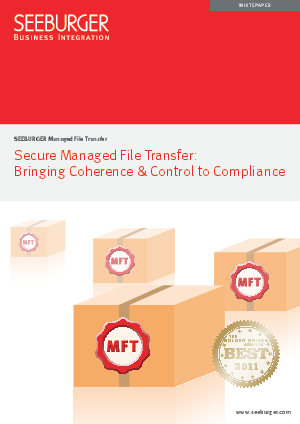 Traditional methods of managing file transfers can't prevent or protect your enterprise from compliance violations: they're insecure, inefficient, and non-auditable. This situation leaves a serious gap in compliance strategies. Learn how to close this gap with managed file transfer.